I figure the face is not familiar, and truth be told I don't think it's that big of a surprise. Jack Carson was never a big star in his own time, let alone today, and since his passing it's doubtful he will have a resurgence. That, actually, is a bit of a shame. The films I've seen of Jack Carson show him to excel in light comedy while also being able to do dark fare. Carson's bread and butter was to be a comic actor, a bit of a straight man with the ready quip. I like to think of him as the male Eve Arden; curiously enough, both were in Mildred Pierce. I think Mildred Pierce showed what great range Carson had as an actor. His character of Wally Fay was in many ways a rather repulsive person: constantly hitting on Mildred (Joan Crawford) with a sense of antagonism against her for never agreeing to go out with him (read: sleep with him). He's certainly not the happy-go-lucky type that he tended to play in films, but even in Mildred Pierce he kept his quick wit manner to him. In essence, Wally is being set up as the fall guy for murder, but even when arrested for a crime he did not commit, Carson as Fay still has smart comments for the coppers bringing him in. He excelled as the regular guy who was a wiseguy but who in the end proved he was really a good guy. Still, his full talents were rarely used. Besides Mildred Pierce, Carson also played the dim but mean Gooper in the adaptation of Cat on A Hot Tin Roof, a man who cares nothing for Big Daddy but for his money. There's a pathetic aspect to Gooper, not the brightest of men but certainly not a good man. Carson's dramatic turns in both Cat on A Hot Tin Roof and Mildred Pierce show he could handle complex roles, though he was more known for comedy. 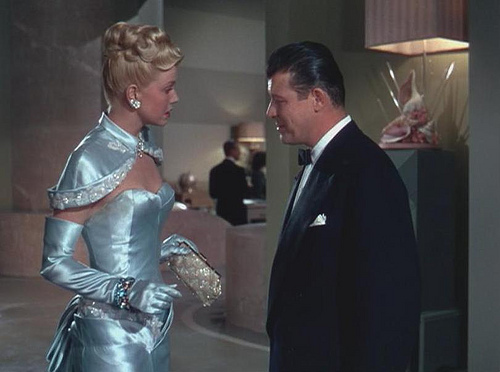 Jack Carson could be villainous on screen, but for the most part he appeared best suited to be more a comedian. My favorite Carson film is Romance on the High Seas, where Doris Day made her film debut. The story is remarkably light (mistaken identities result in people falling in love) with the film being a showcase for Day's considerable talents as a singer. However, Carson as the slightly befuddled private eye who has conflicting emotions as the spy who loved her (to coin a phrase) was just perfect for Romance on the High Seas' frothy story. If there is a 'signature' role for Carson, it is as 'Jack Carson', a shameless ham. In It's A Great Feeling, he played a humorous version of himself, a shameless ham with no talent other than his self-promotion. It's odd that despite how they were paired, the comedy due of Carson and Dennis Morgan never really took off. In the end, Carson was felled by stomach cancer at only 52, far too soon to see him enter into other films where his full range could continue to expand. I think he is an underappreciated character actor and he should be remembered for being one of the best second-tier actors of the forties and fifties; when I say second-tier, I don't mean to say he wasn't good, but that he was never as big a star as perhaps he should have been. 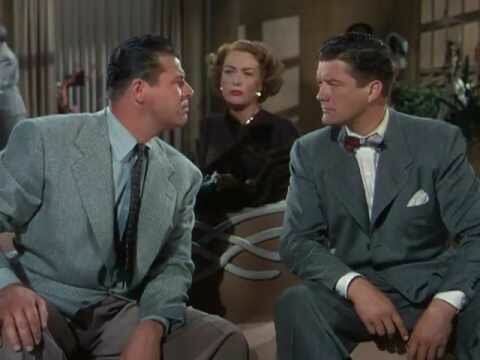 I've often wondered if Turner Classic Movies will ever make Jack Carson their "Star of the Month" or a feature in their Summer Under the Stars marathon. He would be an excellent choice. 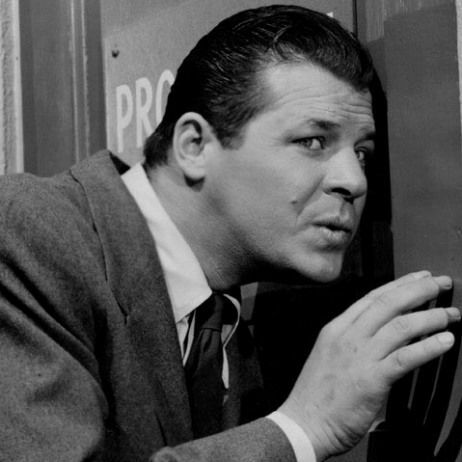 Ultimately, I hope Jack Carson is appreciated by movie fans as a first-rate comic who was capable of delivering complex, dramatic work as well, an actor who had charm, a quick comeback to any insult, and a lot of talent. Honoring Jack Carson on his birthday.